With a history that dates back to thousands of years, the peony has long been revered as a flower of riches and honour, as well as an omen of good fortune. 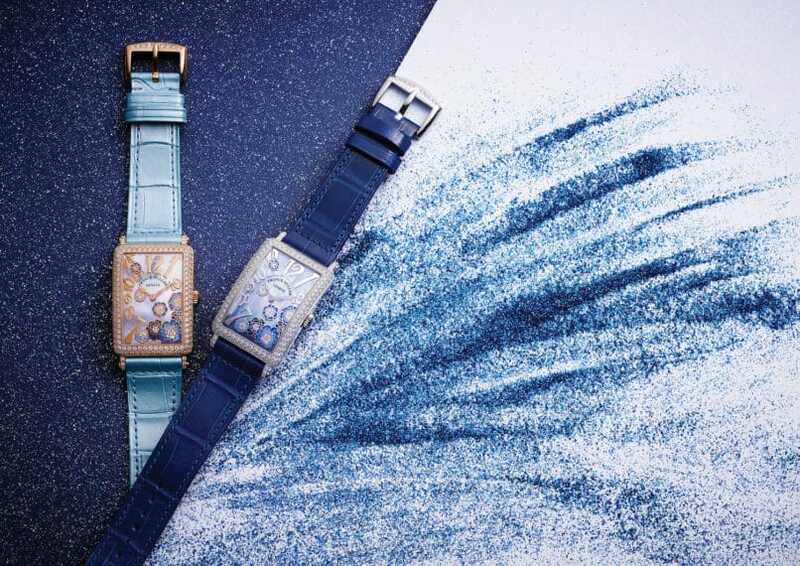 This year — and just in time for the upcoming festive season — Franck Muller has managed to translate the regal grace and transient allure of the popular bloom onto a series of timepieces, aptly named the Franck Muller Long Island Peony. Launched in six different iterations, the brand’s signature eccentricity still manages to shine through in this special collection, albeit in a more feminine and delicate way. The iconic Long Island case now frames eight luscious peony blossoms on the dial, each hand-painted by a master dial painter before being set onto an iridescent mother-of-pearl dial. The firm’s dedication to craft is amplified here; the same dial is then spray-painted on the underside to create a subtle coloured pattern that brings out the vibrance of the peonies at the front. 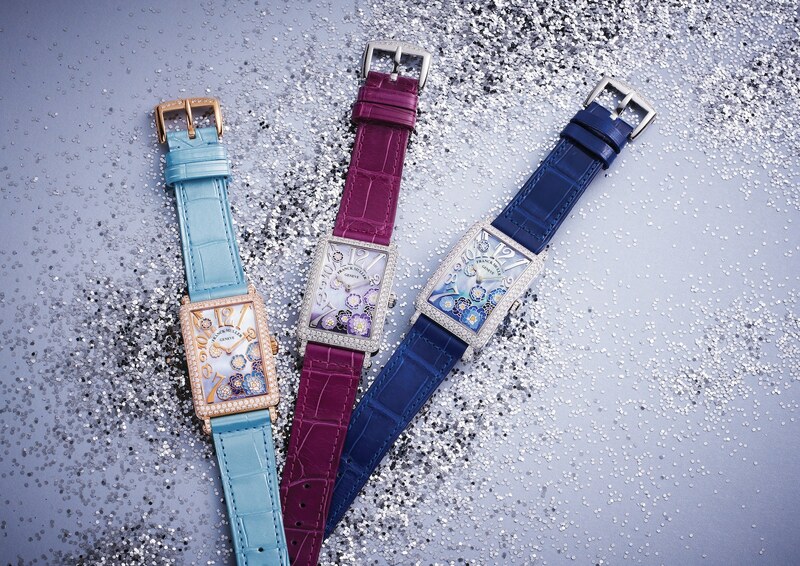 Around and beneath the falling blossoms sit Franck Muller’s trademark oversized Arabic indices. Here, the relief numerals boast the same presence without stealing any limelight from the peonies. The diamond-encrusted options come adorned with a generous 1.92 carats of the precious gem, lending an air of playful elegance and whimsy to the ethereal series. Inside, the watch is powered by a reliable quartz movement which powers the hours and minutes. 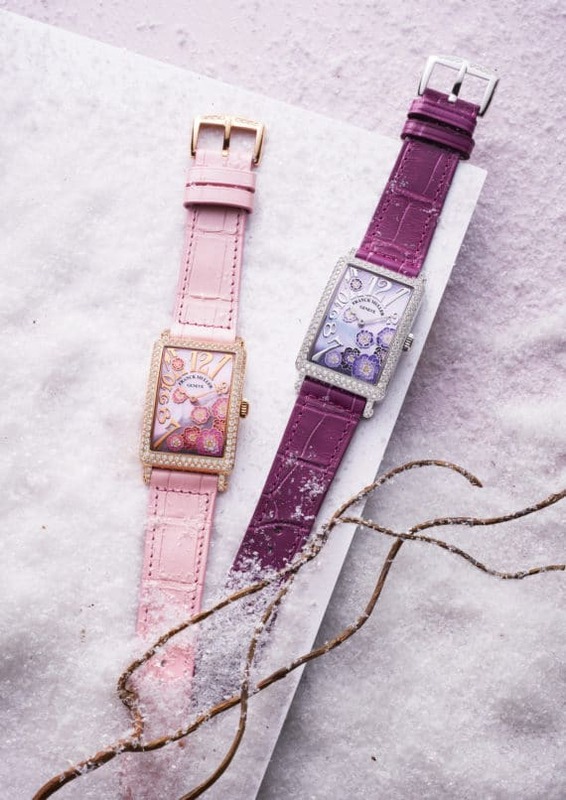 Franck Muller’s ingenuity and dedication to craft has resulted in dozens of collectibles, and if you’re looking for mileage, the Long Island Peony’s grandeur will look right at home throughout the upcoming festive celebrations — and even the lunar new year season after.